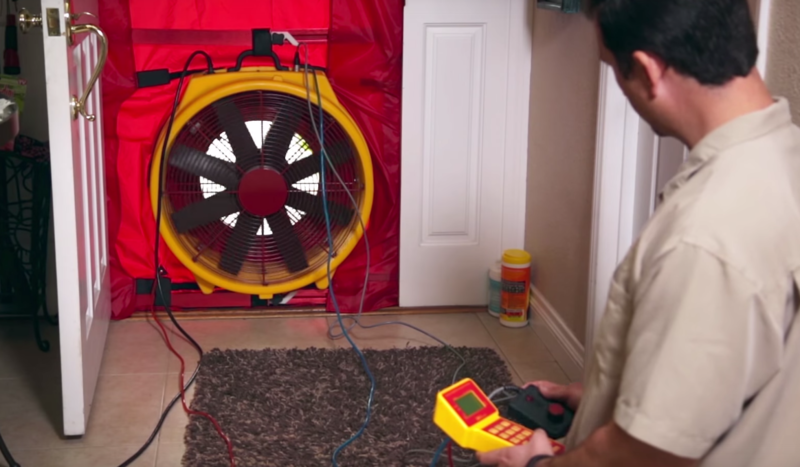 One of the ways that we determine the efficiency of a home is through a blower door test. This allows us to see where air is leaking out of a home. Think about it, if you have 50 little leaks in your home that all let out a little bit of air, that can really add up. In most homes, we find enough leaks that it would be like permanently leaving a window open! This test, along with others, allow us to be part of the Energy Upgrade California program. Joey Gibellino, one of our Project Managers, explains the benefits of a blower door test.